You already know about the benefits of amla, don't you? Of course, you are aware that Indian gooseberry is loaded with vitamin C and antioxidants. Perhaps you are also aware that amla helps boost immunity. When winters come knocking, you are often under the weather. An amla candy can help you boost immunity. In fact, if you try to include amla in your winter diet, you can ward off illness when the weather changes. This entire page is about amla recipes for health - be it amla candy or sweet & tangy amla chutney. On top of it, these are yummiest amla recipes. We have been buying amla candies for quite some time. In fact, dad has always made sure his kids take amla candy, apple murabba, and similar desi stuff to keep our immune system strong. Dads are dads! They will go to any length to keep kids happy and healthy. Before coming to my place, dad asked me whether he should bring my favoite batch of amla candies. My answer was NO. He was hell-bent on convincing me that he would bring the candies for me. But I told him that I no longer want to relish market stuff. I will give the candies a try at home. 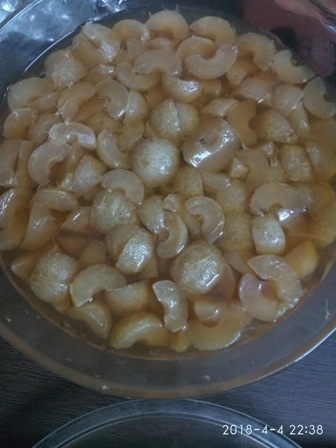 So dad's inspiration goes into this amla candy recipe and luckily, dad and mom are here, so I could offer these chatpata candies to them. Their reaction? Well, mom is unwell- fighting her battle with a scary disease about which I have been raising awareness thus far. Her diagnosis did leave me dumbfounded and feeling helpless. But with God's grace, we are on the right track with her treatment and diet. Mom simply smiled, for she hardly likes this kind of stuff. She is not in the best of health, but she liked these vitamin C candies and likes to enjoy the homemade stuff . Dad was all praise for his daughter - he is surprised at what all his daughter keeps coming up with. Not to mention, he is already the biggest admirer of my healthy cookies. He often asks my bhabhi to learn simple cookie recipes from me so that when he goes back to Patiala, he can have homemade healthy biscuits. So amla is a God's gift for cancer patients too, thanks to its abundance in antioxidants that help your body fight free radicals - which create a toxic environment within your body and support cancer cell growth. Take a cooker and drop whole amla pieces in it. Pour water - enough to soak amla. Allow pressure to settle down and let the amla pieces cool down. 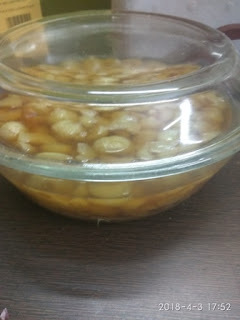 I am boiling the candies to make it easier to remove the seeds. This will also help soften gooseberry so they can absorb sugar. Remove seeds and separate pieces from each other. Take a wide vessel and put half of the raw cane sugar or jaggery powder as a base layer. Then drop amla pieces atop it. The remaining cane sugar should go at the top. Stir the mixture very well and let it sit on the counter overnight. Next day, you can stir it once and allow it to sit for another night. Then strain the sweetened amla juice and keep it separately using a tea strainer or juice strainer. We will make mixed fruit jam with the amla juice without pectin. Take a cotton cloth and place each amla piece separately - spread out evenly and cover with another light duapatta or cloth. Let the amla pieces dry for the whole day in the sun. Yes, sundrying is a prerequisite to naturally dehydrate the candies. If you are in north India, you will need just one day to dry amla completely, since it is shining brightly these days. I needed just one day. Otherwise just wait for 2 days to dry amla. 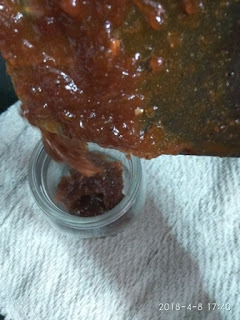 However, once the moisture looks evaporated, do not dry longer, as the candies might get hardened. The longer the drying period, the harder the candies. 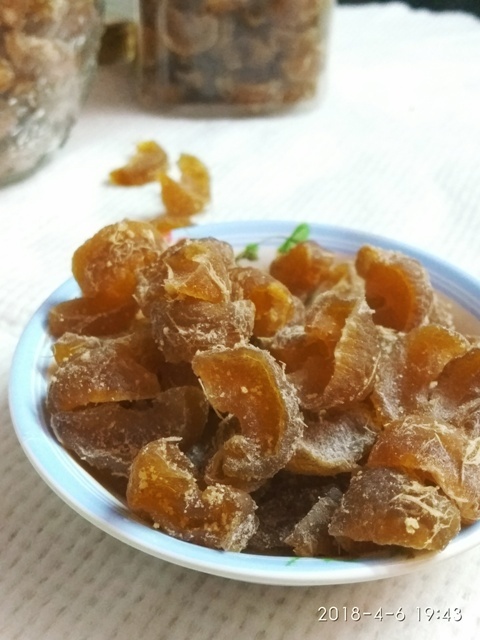 We do not want our homemade amla candies to harden too much. 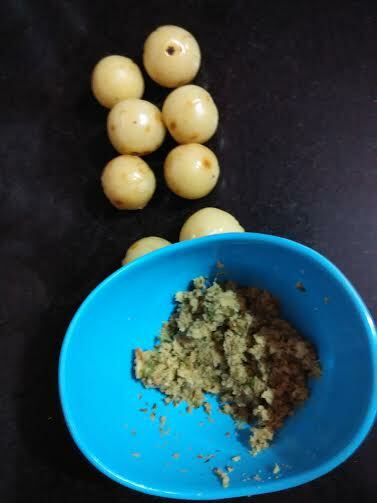 Then take 1 tbsp raw cane sugar/jaggery powder, jeera/cumin, black pepper, and 1 tsp black salt. Mix everything in a sterilized glass jar. 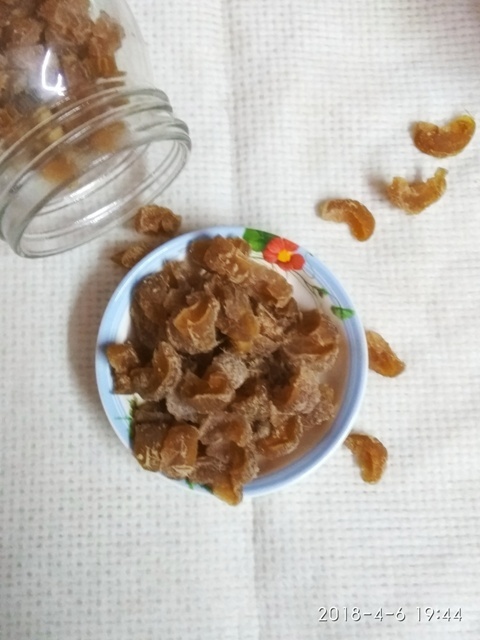 Drop dried amla pieces in to the jar and stir vigorously so that the salt-sweet mix coats the pieces evenly. 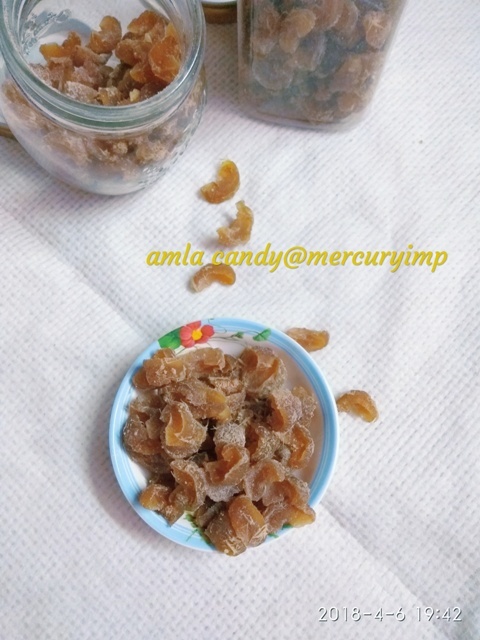 Enjoy yummiest chatpata amla candies. You wll never buy market junk again - trsut me. Market candies are loaded with refined sugar and may contain preservatives. Our candies are free from any preservatives. 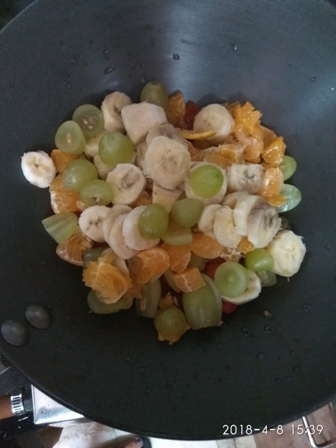 Boil tomatoes, grapes, bananas, apple for 1 whistle. Remove the seeds of tomato and the outer cover (Idid not remove the cover). Cut all fruits into small pieces and drop into a wide thick vessel. Cook on high flame. Allow the fruits to become a little soft on high flame for 3-4 minutes. Then pour the amla squash into the mixture. 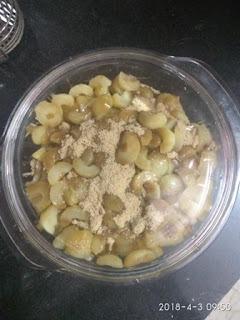 Add salt and jaggery powder/pieces. Cook on medium to high flame. Add apple cider vinegar and stir intermittently, scrapping of the sides of the pan. 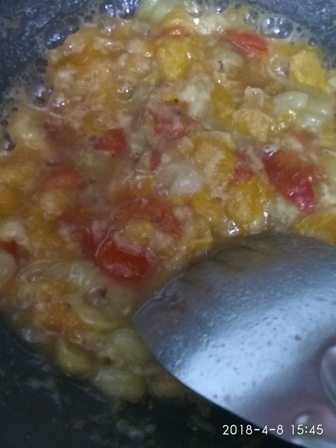 Continue to cook the mixed fruit jam until it thickens. Take a test - you need a bowl of water. Drop one drop of your jam mix into it. If the jam drop sticks to the bottom in a round shape, your jam is ready. If it dissolves quickly, you will need to cook longer. Your jam is ready when it is still on the softer side. 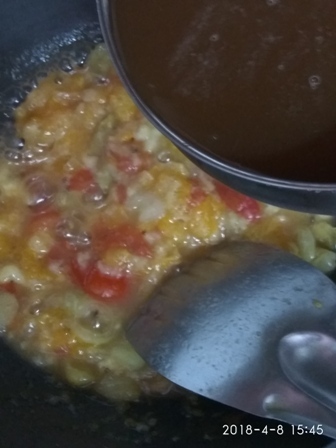 You do not want it to thicken too much; else, it might become fruit candy. Dad did all the chopping for me. Top them with jaggery powder . Cover with lid and weight (whislte). Pressure cook for 13 whistles. I did not note the time. Sorry. Release pressure and take out the candies on a tissue paper or kitchen towel. 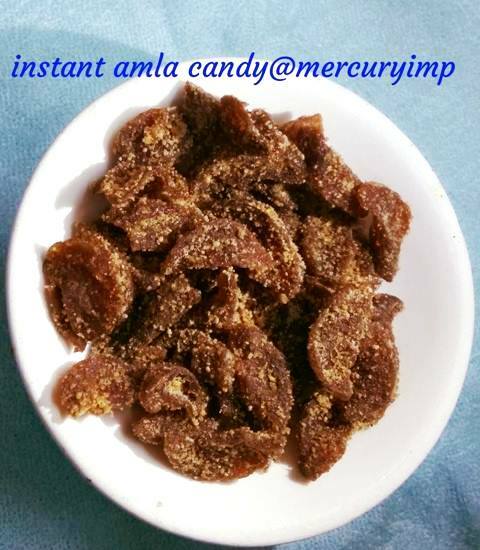 Next day, keep the sugarfree amla candies in sunlight. For the last two days, we did not get to see the sun. So my amla candies had to be dried without sunlight. The candies may need 2-3 days to dry. You may even make instant candies with amla in an airfryer or microwave. Airfry candies for 10 mins first at 160 degrees and check if they are done. Once done, take 1 tbsp of jaggery powder along with black salt. Mix both and then throw in the candies. Coat evenly and your chatpata amla candies are done. Amla chutney is a new addition to my recipe book.Who does not like amla (Indian gooseberry)? Even if you do not like the tangy taste of amla, you ought to start eating the fruit for its amazing benefits. I have always loved amlas or Indian gooseberry. Dad would bring amla murabba during our childhood and make sure we had at least one every day. I loved my childhood. Who doesn't? Yes, Indian gooseberry or amla benefits health in more ways than one. It is bursting with vitamin C and antioxidants. It balances stomach acid, nourishes brain, enhances food absorption, fortifies liver, enhances fertility, supports the heart, improves skin health, strengthens lungs, helps elimination of free radicals, promotes hair health, eliminates toxin, strengthens eyes, and acts as a body coolant. A powerful antioxidant agent, Indian gooseberry is rich in minerals and vitamins, such as B complex, iron, phosphorus, Calcium, and Carotene. 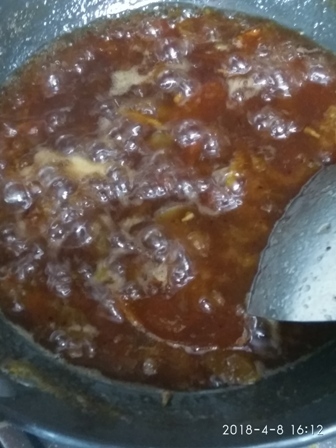 Here I have come up with no sugar amla chutney. I have tried this recipe on many occasions previously, but this time I have included green chilies. 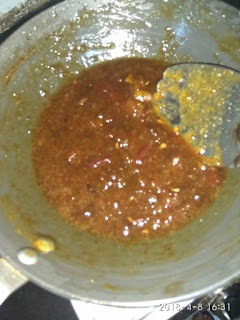 The inspiration to add green chilly came from Anita Chahal aunty's amla chutney. 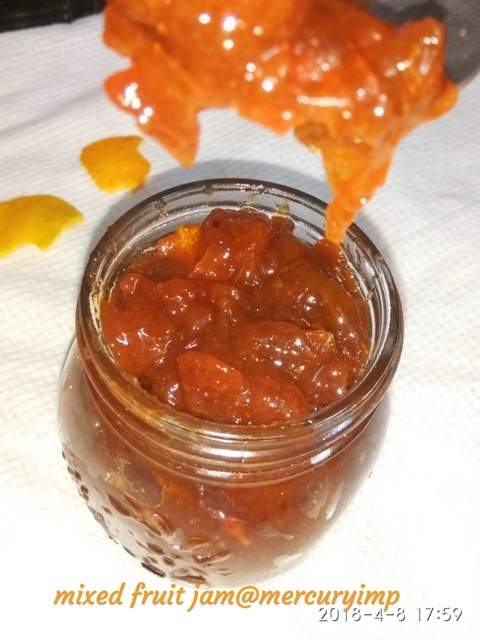 Whether you love sweet amla chutney or a tangy one, the sweet, spicy, and tangy gooseberry chutney uses dates as a sweetener. Take a 2-/3-liter pressure cooker. Make one pocket with amla pieces and another one with dates. If you want, you may add raisins as well. Top both with coriander leaves. Sprinkle salt on top, ensuring it does not touch the bottom. Cover and pressure cook for 6 whistles. Open and blend all the ingredients well. You may add more water for a thinner consistency now. Blend and enjoy instant OPOS amla chutney as a side dish. If you want it spicy, you may add green or red chilly, depending on your choice. Soak amla in boiling water for 10-15 minutes or until soft. Grind the amla pieces and green chilly. Throw in ground amla and dates. Add black salt and mix. Stir intermittently until everything looks done. 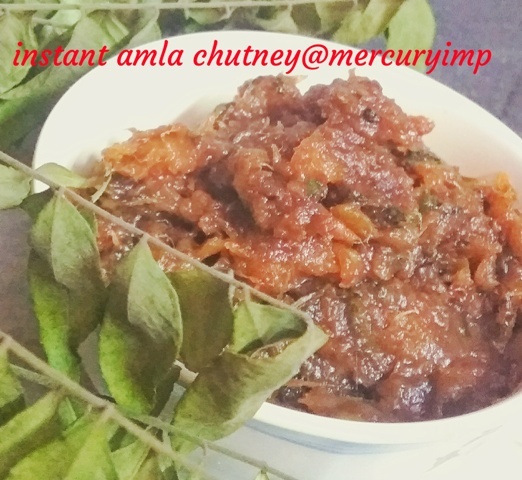 Congratulations your healthy yummy no sugar amla chutney is ready to indulge in. 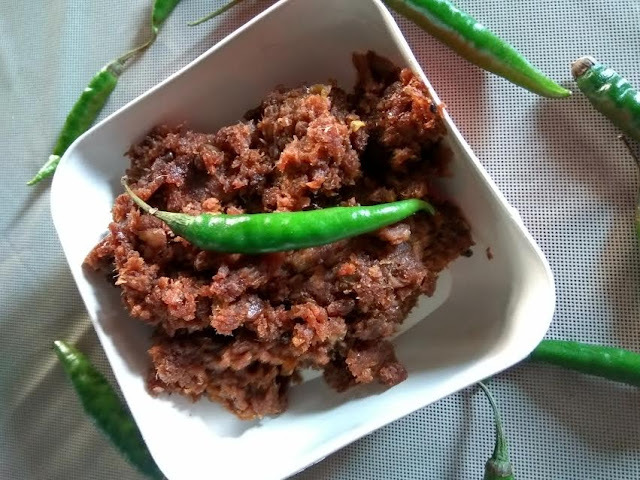 Here's another amla chutney recipe that is unique in taste. During my recent visit to Vrindavan, Uttar Pradesh, I bought 3 kg amla (gooseberries). Then was the beginning of my search for amla recipes online and while searching came across Nisha Mudulika's raw amla chutney. The recipe is super simple and tangy. I was wondering how it would taste, but the result was a tangy chutney. Amla is loaded with Vitamin C.
It enhances food absorption, nourishes the brain, balances stomach acid, helps eliminate free radicals, supports urinary system, enhances skin health, removes toxins, and promotes healthier hair growth. Indian gooseberry helps improve nearsightedness and cataract. Its rich Vitamin A content helps vision-related conditions, reduce macular degeneration, and strengthen vision! Amla strengthens hair roots, enriches hair growth and pigmentation, and improves luster. Its antioxidant quality reduces hair loss by preventing free radicals that may otherwise damage hair follicles. It helps the body absorb calcium. So if you want strong bones and teeth, make amla a part of your diet. Look and feel great with Indian gooseberry. Gooseberry contains chromium that has a therapeutic value and helps diabetics' health. Chromium improves betablocker functioning, which help reduce LDL levels. Amla stimulates cells that secrete insulin, and reduce blood sugar levels. Amla aids digestion, since it is high in fiber content. Wash gooseberries in lukewarm water. I kept them for 15 minutes in hot water. Slice amla into pieces. Discard the seed. Put all ingredients in a grinder. Your tangy amla chutney no sugar is ready. Enjoy with rice or roti. You may be interested in amla pickle recipe. Follow the link and you will get instant amla achaar recipe shared by a dear friend.